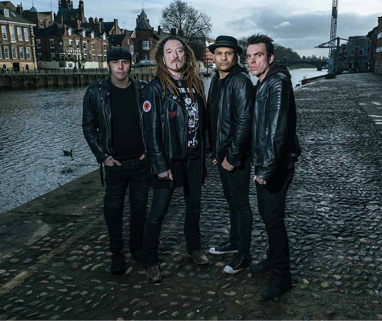 THE WILDHEARTS have announced the release of their first new alum in ten years. And they’ll be touring the UK in support of it. The aptly-titled Renaissance Men is set for release on Friday 3 May, with the classic line-up of the band – Ginger, CJ, Ritchie and Danny – taking to the road that night, playing the first of eight shows in Manchester. You can pre-order the album and ticket/album bundles here.